Save the Children in Myanmar and the Department of Social Welfare will host 80 children at the annual children’s forum today, where participants are given the opportunity to make recommendations to the Government of Myanmar to invest in their childhoods and future. The event will be held at Yangon International Hotel in Yangon from 2-4pm, with Members of Parliament, Department of Social Welfare, Yangon Child Rights Committee, National Child Rights Committee, Business Associations and international non-government organisations present. Save the Children celebrates 23 years of children’s rights in Myanmar, calls for continued investment in children’s rights to survival, development, protection and participation. The celebration will be held at the Alliance Francaise on Pyay Road in Yangon (20th Nov 2014, 3-5pm), with other events held across Magway, Mandalay, Kayin, Rakhine, Chin, Kachin and Kayah Regions in Myanmar. As a mother of two, Le Le Win had always believed that beating children when they misbehaved was normal and acceptable. 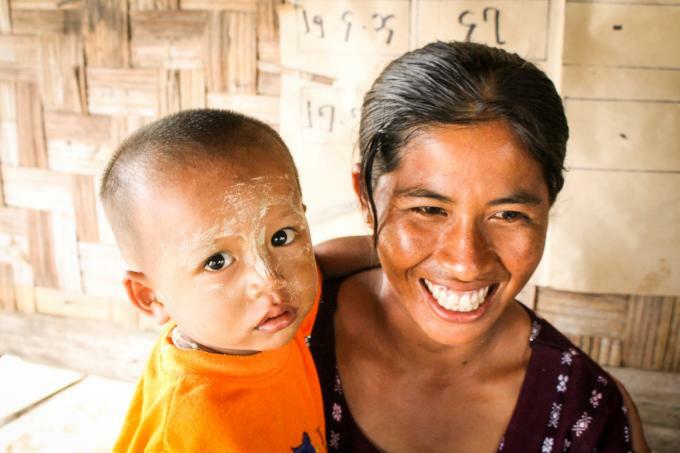 “When my elder daughter misbehaved, I beat her,” said Le Le Win, a housewife who lives in Hlaing Thar Yar Township, Yangon Region, Myanmar, with her two children and husband. “In our village, it was normal to beat children and use children’s pocket money to buy alcohol. Beating children was seen as the right way to discipline them,” she said.